I am so excited to see the very first roses of spring. Do you remember what my front lawn looked like in October? Here is a re-cap of one of my earliest posts entitled: I Blog About Sins, Not Tragedies. 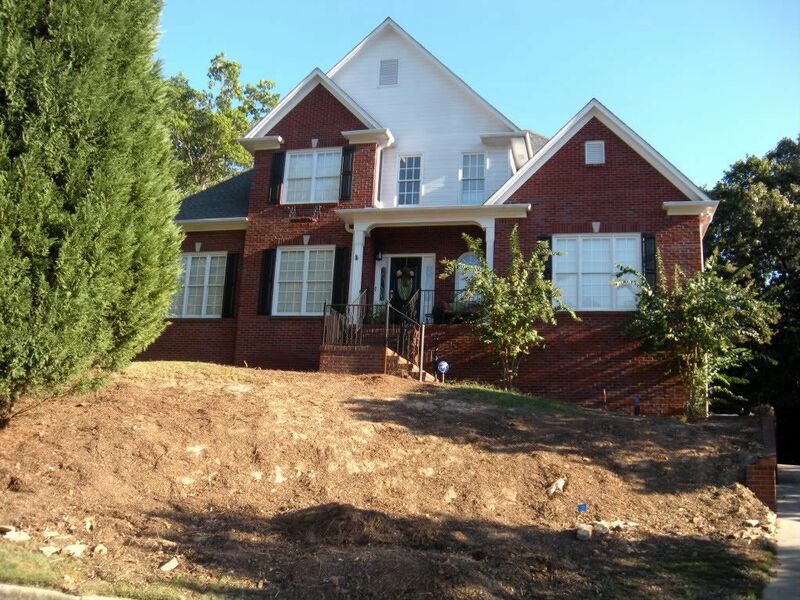 Everything in my front garden was gone, except the two crepe myrtles and leyland cypresses. Even the grass was missing. The original plan was this: remove the juniper bushes in the front and replace them with double knock-out roses. Obviously, there was a slight miscommunication. My roses are gone. My azaleas? Gone. My Japanese honeysuckle, Lady Banks rose over trellis, and gardenias? Gone, gone, and...oh, yea...gone. I know it was not a life or death situation, and there are far worse things that can happen in life. It was not a tragedy, but it was a tremendous disappointment. I worked hard to keep my roses black-spot free (which is a feat in Alabama, I tell ya! ), and I fed and babied my beautiful azaleas. Oh, well. That's what I get for leaving town when we are beginning a big project (which, at the time, I did not realize was going to be so big). My husband is a prince, and he helped to make it right. The company he hired was the best, and all the gentlemen tried very hard to design, build, and plant a lovely front garden. 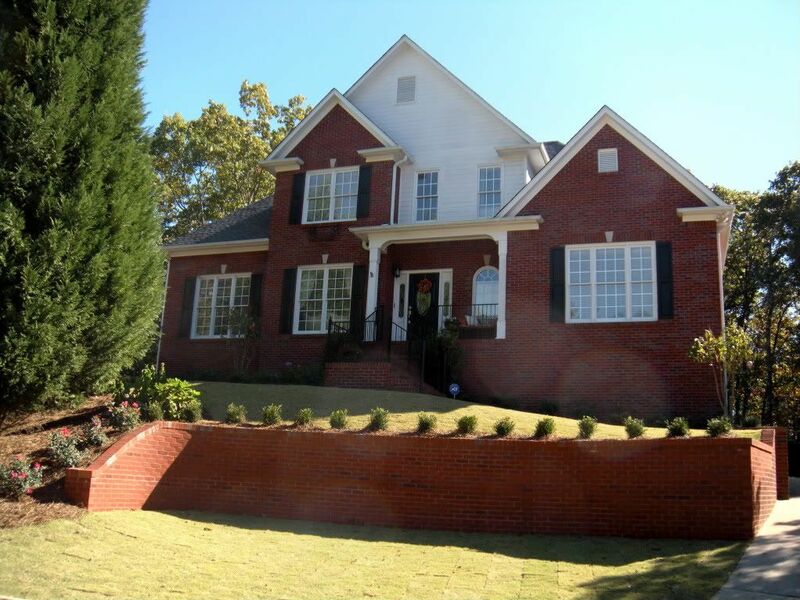 We now have a brick retaining wall that matches the brick on our house. They moved one of our crepe myrtles, and committed crepe murder on them! I am thinking about adding a few knock-out roses to curve around the left-hand side of the wall. It might soften it some. Do you think it's a good idea? Here are a few close-ups of the foundation plantings you can't see from the street. Now I have camellia and hydrangea babies to take care of (I have never had either before). 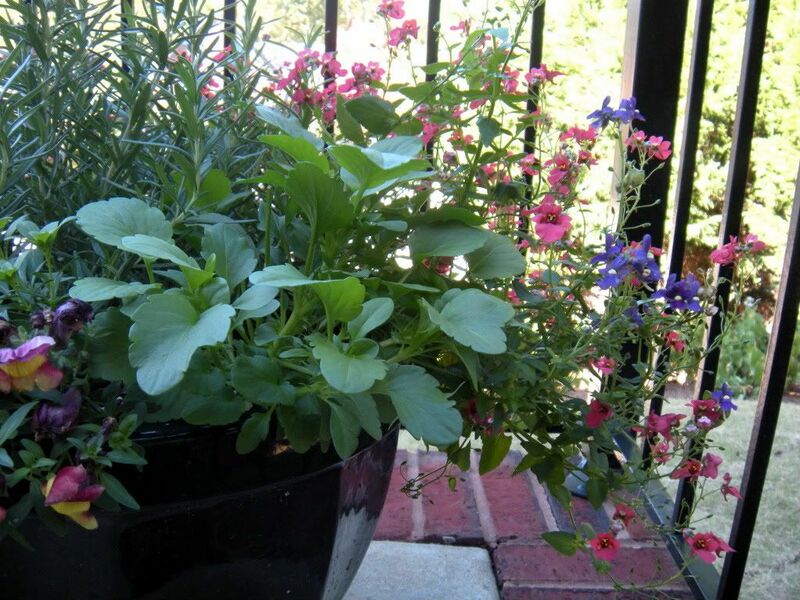 We also planted bunches of rosemary by the front steps. 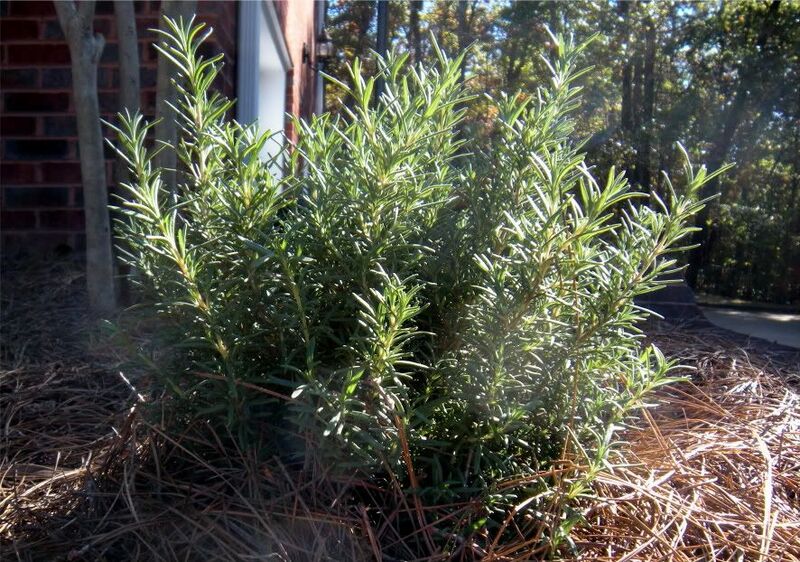 According to lore, rosemary keeps unwanted guests away from your home. We are hoping it will repel deer so they won't eat our flowers! I am looking forward to the shrubs maturing, and I am anticipating beautiful camellias by Christmas. 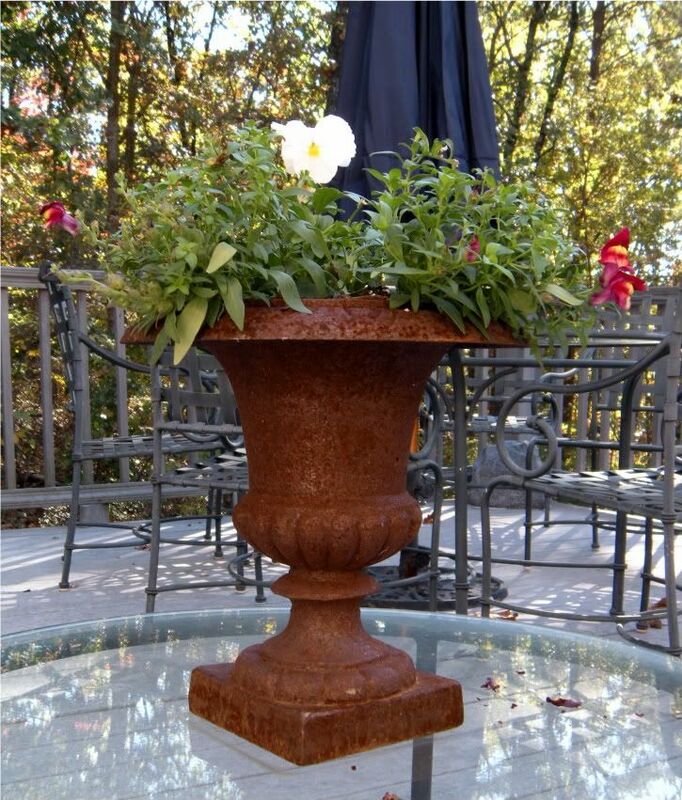 I can't wait to plant flowers later this spring! Please share any suggestions you may have. 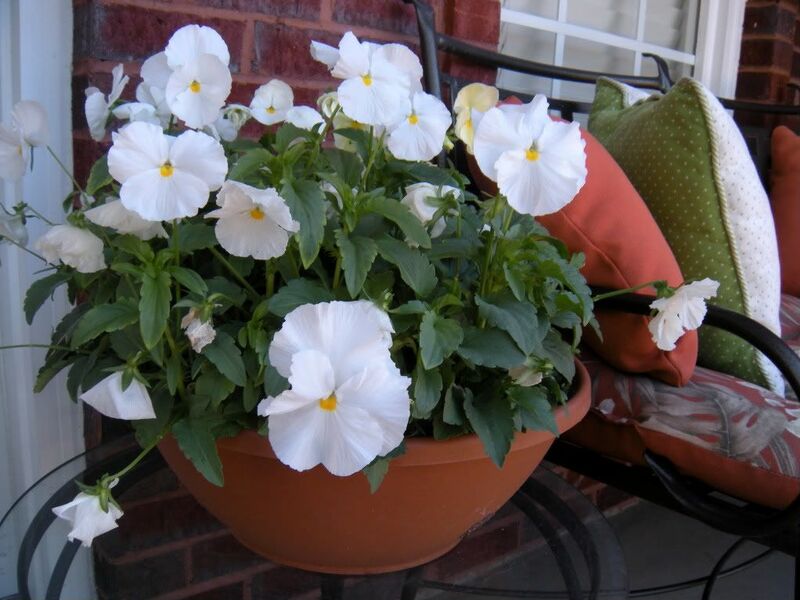 I am joining Fishtail Cottage's Flora Thursdays, and Flaunt Your Flowers Friday @ Tootsie Time. Jealous! Up here in the frozen wasteland of New York, we're still waiting for grass to be consistently visible. Daffodils are starting to peek out, and the garlic has started to show itself as well. In a month or so, we might have asparagus. No roses yet, though. okay - thinking i would have completely freaked out to come home and find my missing beauties! Bless you woman for being so kind about it. I'm getting a hot flash just thinking about it....but i will say, i love the brick wall you now have, it is so charming with your home & i see you planted boxwood? You do have so much green going on in your yard (lucky you)...in seattle we are still waiting. thanks for linking up to Cottage Flora Thursday's - looking forward to seeing you each week as your garden grows! Oh, my I would be so upset about the plants that are gone. Whenever anything major is happening on our property I go out and grab what I want to keep. I've managed to replant some items several times over the past 32 years. The new design does look lovely. :) I am sure you will add many lovely plants and flowers to make it all truly yours. I wouldn't have liked that either!!! 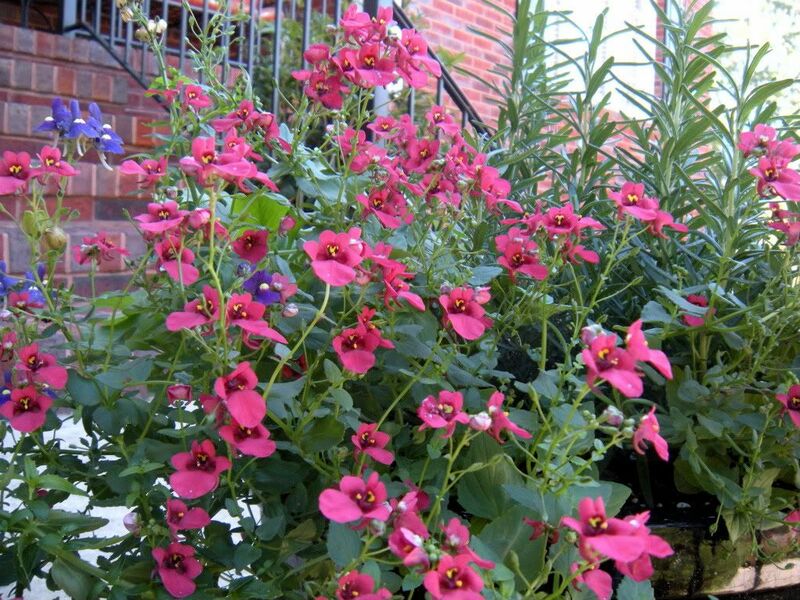 Your yard and plantings are so pretty! I've never heard that about Rosemary...interesting! The after looks awesome!! You always have the prettiest flowers around your house! 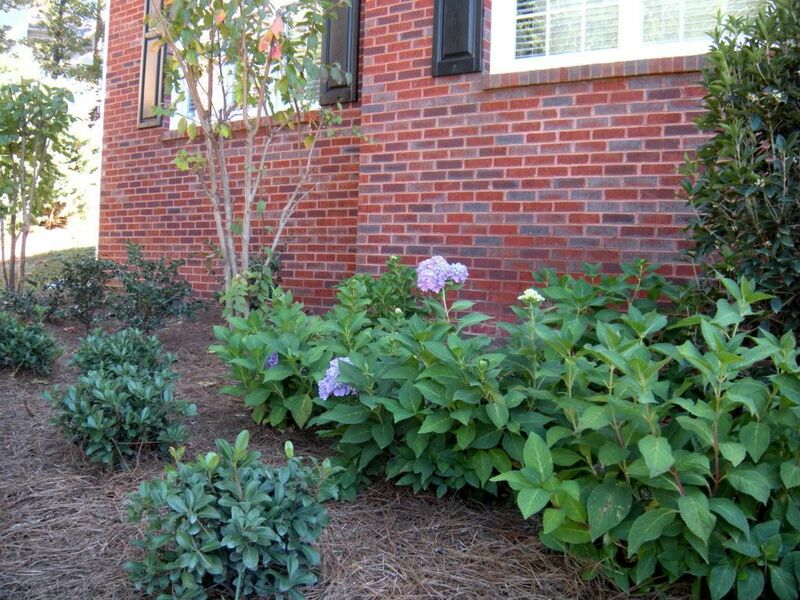 I'm sure your yard will just get prettier and prettier as spring goes on! I can't believe how heartbreaking that would be?! Love the new wall. The knock-out roses will really soften up the wall. It looks great! Love your garden! I love roses, they are my favorite... I can't wait to get some planted into my garden! Your garden is beautiful! I cant wait until we see flowers blooming, or I'll even settle for something, anything, green & alive! 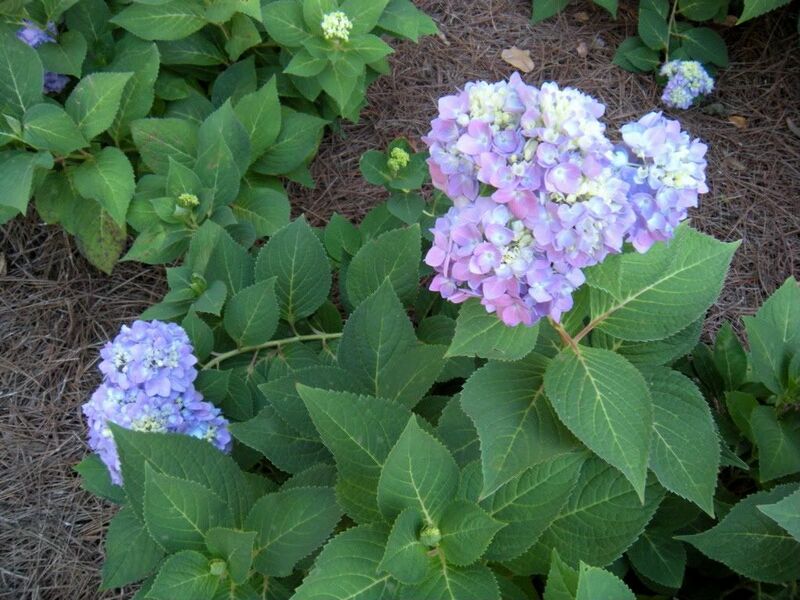 Your hydrangeas are looking beautiful. Hope you are enjoying your garden. It's so lovely. You are going to love it I am sure. Don't you think the first roses of spring are the best. My MIL and I were just saying how they are the most perfect and fragrant of the year. You have very beautiful garden photos here and I would like to take this opportunity to invite you to link in with some photos...either current or past (during the dormant seasons) to Flaunt Your Flowers on Friday with me. Many absolutely gorgeous gardens participate in this party, and yours would be a welcome visit for them all to make! I have enjoyed my visit here today... I am your newest follower! happy gardening! Calling by from Cottage Flora Thursday, to visit someone I already know :) This is a great post for me as a recent follower to learn a little more about your garden which looks lovely. Wonderful roses! My favorite flower. Mine are budding too and I am struggling with affids (sp?) I cannot seem to get rid of them. There is another pest also..some tiny white fly that has nearly killed one of my tree roses. It's so sad and so far nothing has worked. I am beside myself trying to bring it back to health! Stopping by from Tootsie's place for Fertilizer Friday. I shared my azaleas on my other non-food blog "My New 30." My roses are just beginning to open too but no hydrangeas yet, though they are just beginning to leaf up. Everything looks so beautiful and healthy, and yeah, I would definitely go for the knock outs! Wow!!! What a shock and disappointment to come home to. The new results do show a lot of promise. Actually I think something that spills over the wall and hangs down the side would be lovely also. Visiting you from Tootsie's.